Carlos Torres held the Cardinals in check on Wednesday evening in a clean top of the eighth inning. He walked one, and struck out another batter on his way to earning his twelfth hold of the season. If Tyler Thornburg were to find himself injured or ineffective down the stretch as a closer, Torres is the guy you want. 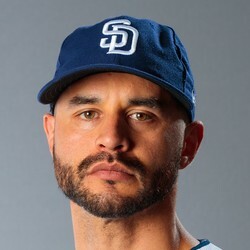 He currently has career highs in WHIP and ERA with 1.19 and 2.91 respectively, and he has a 63/27 strikeout to walk rate over 68 innings. The walk rate is a bit high, but there aren't a ton of better options in the Brewers bullpen.